The belted robe jacket is a silk blazer from Max Mara that doubles as a shirt for the fashion forward. 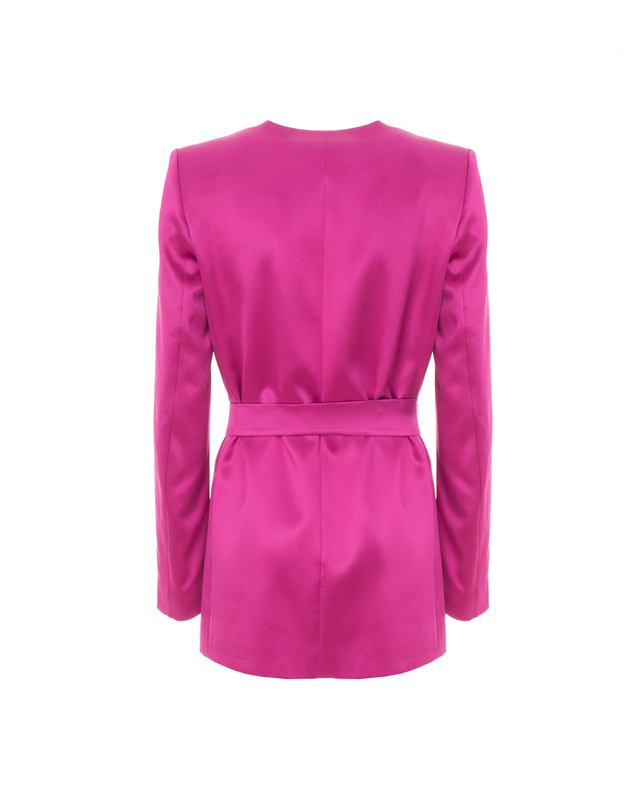 Crafted in Italy in a deep fuchsia hue, it features a wide lapel, a relaxed fit and full-length sleeves. Cinch yours at the waist with the matching self-tie belt and pair it when the matching pants for a total look.